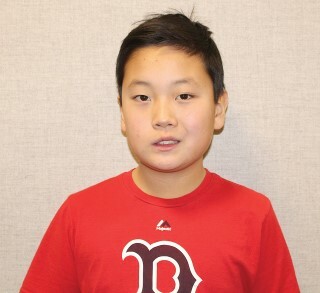 Ethan Fletcher, a fifth-grade student at Jordan-Small Middle School is The Windham Eagle’s Student of the Week. The eleven-year-old enjoys soccer, cross-country running, basketball, skiing. “This fifth-grade student is a top-shelf role model,” stated his teacher. “Words and phrases that best describe Ethan are: focused, hard-working, true learner, great friend, and kind-hearted. Ethan shines in the classroom and in the science lab. He is naturally inquisitive and takes safe risks in the classroom. He participates and is also kind to ‘share the air’ with his peers. He is highly proficient in all academic areas. Fletcher, who likes mint chocolate chip ice cream and reading in his free time, states that games and projects are what makes learning fun for him. Ethan has sister Emma and a dog named, Kipper.